Even though e-commerce has become an increasingly popular consumer option, improving the in-store customer experience is more critical than ever. This ‘last mile’ presents brands with a final opportunity to either trigger a purchase decision or change future buying behaviour. 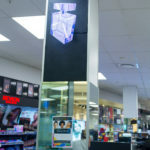 In South Africa consumers visit malls as social activities, and many consumers still want to touch and feel products before making a purchase decision, even if that occurs later online. In fact, embracing more impactful in-store marketing assets should become a priority for brands and retailers looking to differentiate themselves. With retail stores under pressure to increase footfall and sales or risk job losses and potential closures, both retailers and brands are increasingly turning to these innovative in-store solutions as the means to attract customer attention and retention. Today’s consumers are rapidly embracing digital activities and this change in society behaviour has impacted not only attention spans but more importantly, what now grabs and maintains attention. This makes leveraging digital in-store solutions a logical next step. 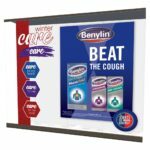 A key question arising around the use of media like window and digital displays, dispensary posters, and till point signage is, ‘how do brands make these visuals count and ensure a response from shoppers’? While there are different approaches, ultimately the consumer must be impressed by both the display and messaging at a critical point in their decision-making process, reinforced in specific areas of the store. Attracting attention during these moments that matter is our ultimate goal. An important component of the buying experience is on-shelf branding, as this is where a lot of last-minute consumer decisions are made. A loyal repeat purchase for a loved brand versus trying something alternative or new. For brands attempting to convince consumers to try their product, we have an answer to what to do in this key space. 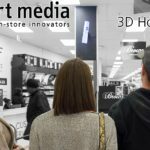 Enter the Digital Shelf Strip, these electrifying multi-screen strips first and foremost grab consumer attention with motion, colour and potentially sound. 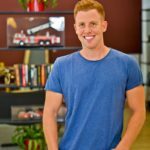 Video has become a core focus in all marketing activities due to its story-telling power. 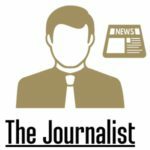 Human beings like stories and videos convey a story better than any other medium. The ability to transfer a lot of information, easily and quickly is something a static print ad struggles to do. By no means is print not valuable in reinforcing messages, video is just proven to be more powerful when the placement and timing is correct. 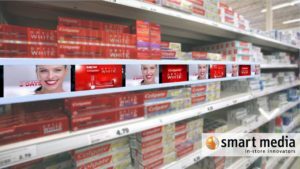 Our Digital Shelf strips provide more product information to customers in key moments that matter, giving the brand an opportunity to extract or reuse content already created for television or digital marketing, extending the association shoppers have with a product to the on-shelf retail environment closing the loop and proving a truly 360 degree experience. Many consumers now research and compare prices online but purchase decisions still have the ability to be in the moment. 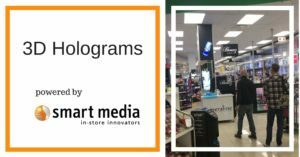 In-store must therefore significantly entice purchasing decisions and we believe that our Digital Shelf Stripsdo this more effectively than any other on-shelf branding on the market. An alternative to using a mobile device is to leverage trolleys and baskets. Digital screens on trolleys have been used in some countries where RFID chips localise ads depending on the physical location of a customer in-store. However, one of the challenges in the local market is that shoppers are used to leaving stores with their trolleys and loss of these digital assets can carry a high cost. 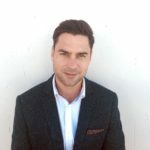 Connecting consumers using their smartphones with geo-location currently carries too many challenges in the South African market particularly the high-cost data barrier. This may negate the benefits of using mobile displays in a store-specific environment however our mobile advertising trolley and basket frames are ideal if a brand is aiming to increase awareness and reach. Mobile advertising solutions travelling with shoppers throughout the store and mall environment has unlimited potential to share a message travelling with a potential “advocate”. Seasonal campaigns like Christmas, Easter, Valentine’s, and the like see brands do a big push integrating various platforms for a seamless customer experience. Retail windows are curated to lure customers into the store. However, as campaigns seem to start earlier every year, brand managers need to find a way to manage shopper fatigue and budgets. For example, many retailers started their Christmas campaigns last year in early November. Expectations are that this will shift earlier to October for 2018. While there is a lot of innovation taking place around in-store displays and window branding, there needs to be a balance between starting campaigns earlier and keeping the attention of consumers. There is a need to create interesting brand messages that can be used for prolonged periods of time. Again, this is where the in-store digital experience is vital as it can easily be remotely managed and updated in real-time to refresh content and avoid messaging getting stale. 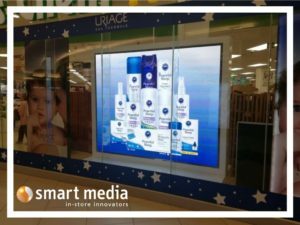 In-store digital displays enable a more agile advertising environment with brands being able to make changes to their content instantly. This completely negates the logistical challenges of changing 50 store-front windows as campaigns end. Imagine using large digital displays to manage and update content from anywhere, at any time. 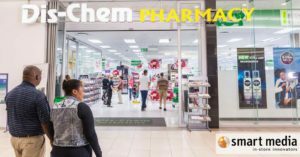 Not only reducing costs and lead times but also enabling retailers to run a diversity of campaigns during the same period. 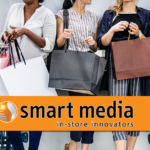 Furthermore, in-store digital displays give rise to targeted audience bursts or specific timeslots applied to target audiences, opening the door for data-intelligence backed campaigns. There are many exciting in-store innovations in the pipeline especially with brands and advertising specialists having access to more detailed data analysis. The modern retail environment is becoming more intuitive to specific customer interests and needs. With this shift, Smart displays perfectly compliment the traditional mediums we know and love.